Mixed Culture is a 7-piece Roots Reggae ensemble from Hollywood, Florida. Mixed Culture has made a solid stance in the Miami reggae scene and are currently going into a period of rapid harmonic growth and expansion. Streaming roots consciousness! Visionary Artists as well as our local Miami artists. 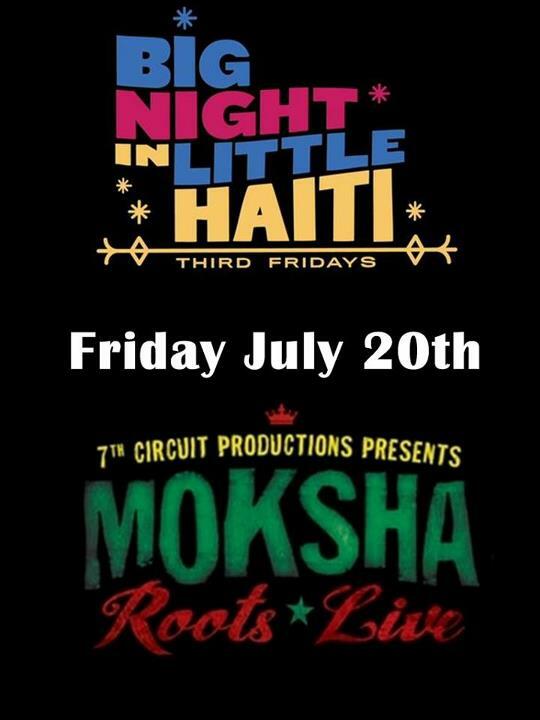 *Moksha Roots Live* every third friday! Exotic Electronic, World, Dub, Downtempo, Conscious Hip Hop, Chillstep, Moombahsoul, Psybient, Glitch Hop, Bass, Acid Jazz & more! All performers are no stranger to the Sonic Alchemy of Musical Magic and are sure to treat your ears, hearts, & feet with Mind Expanding Grooves. By popular demand we will be keeping the Moksha Art Fair vibes going all year round through the *PYRAMID SESSIONS* events! ..explore the Moksha Art Gallery & The Moksha Boutique!